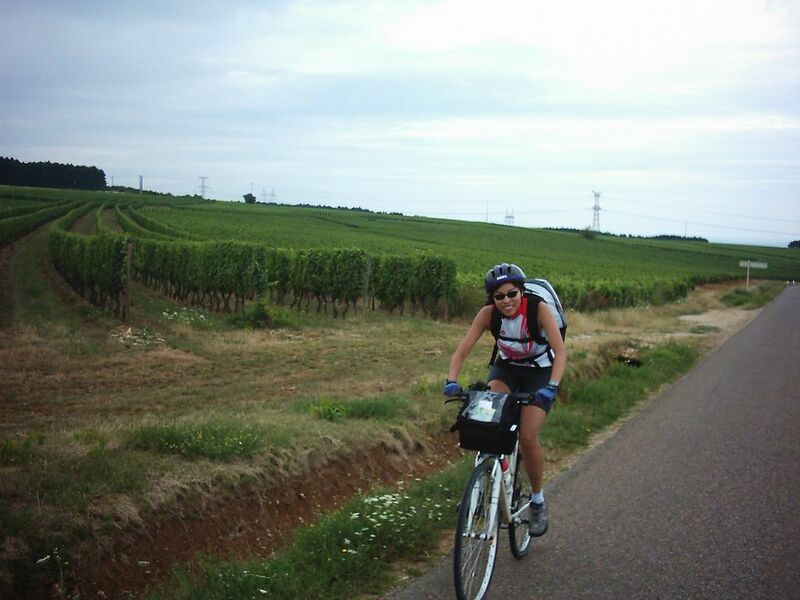 The return trip to Beaune follows the famous wine route and passes many of the most famous Burgundy vineyards. Overcast skies but the weather held. Another super route. We of course got an early start so we could rush home and see Lance Armstrong win his 7th Tour de France. Doreen just completing the hardest climb of Sunday’s ride. Vineyards behind.